Home/Blogs/Why not put a full colour advert next to your client’s PC? Why not put a full colour advert next to your client’s PC? When it comes to desktop promotional gifts, the mouse mat has probably the most visual impact. When it comes to mouse-mats, the Brite-Mat® mouse mat is one of the most popular products on the market. 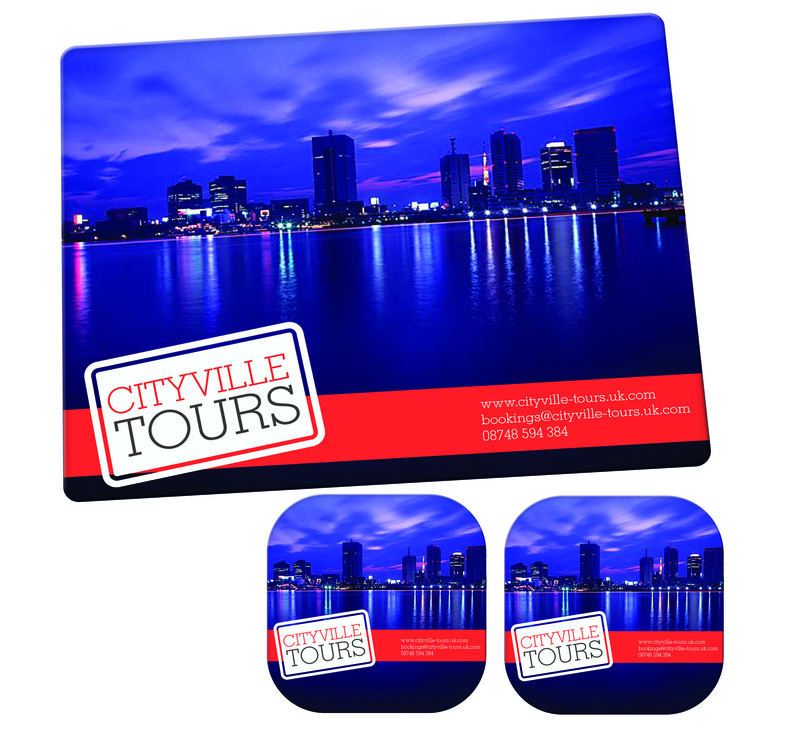 Mouse mats are ideal for carrying contact details, calendars and even product range-information, right there on the desk, next to a PC where buying decisions are made. They are easy to post and distribute, making them a really useful item and a great way to secure essential brand presence on any desktop. The original hard-top Brite-Mat mouse mat offers stunning colour reproduction and a huge branding area for your logo. The Brite-Mat mouse mat is made right here in the UK using patented Brite™ technology. It is extremely hardwearing, has a non-slip base and offers 100% perfect mouse control for both optical and standard ball mice. 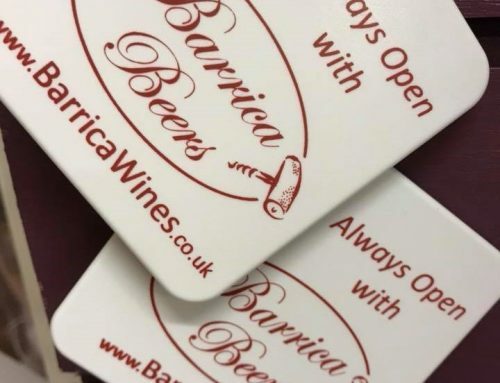 It is available as both a rectangular 240x190mm mat or as a 200mm diameter circular mat and has been a best-seller in the UK promotional gift market for over a decade. This is an eco-friendly, locally manufactured product that includes 100% in-house recycled plastics, with no associated mileage carbon footprint. Our Tyre Brite-Mat mouse mat variant offers the same high-quality product, with fantastic colour reproduction, typical of the Brite™ range of products. That also means you are assured high quality, excellent value for money plus 100% perfect tracking for both optical and standard ball mice. The Tyre Brite-Mat is a brilliant eco-friendly promotional item, made from 99.5% recycled materials, including over 40% recycled tyre material, plus recycled plastics and paper. This has also not been shipped half way around the world to get into the market place. Give your brand unrivalled exposure on your customers’ desks with our Brite-Mat Presentation Pack! This useful pack includes the bestselling Brite-Mat Mouse Mat with a set of two matching coasters. All items are branded with your company design and are available as both round or straight sided sets. The Brite-Mat coasters can also be sold separately for a lower cost desktop promotional gift. Once again, Brite-Mat Coaster offers stunning colour reproduction on a low profile, non-slip base. As with all Brite™ products, this item offers fantastic quality, durability and vibrant colour reproduction and contain primarily recycled materials. Available as either square or round products, these are again manufactured right here in Lancashire. All the range feature Patented technology that means that the print is moulded into the product, securely protected by the wipe clean, mouse tracking surface finish. 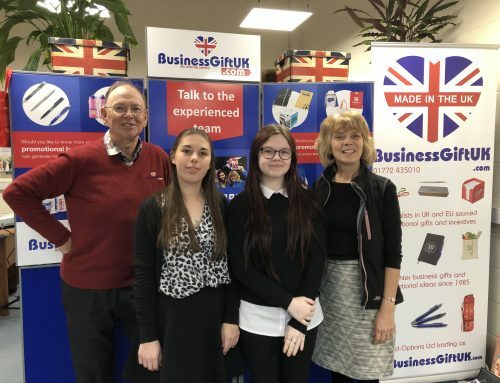 For further information, Brite-MatMouseMat.co.uk is a specialist site featuring the Brite-Mat range of UK manufactured promotional mouse mats, coasters and desktop combination gift sets. 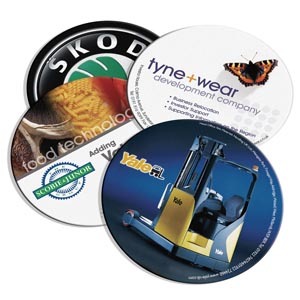 These coasters and mats are ideal for the reproduction of photographs, multi-coloured logos, illustrations and graphics due to the high-quality image finish. 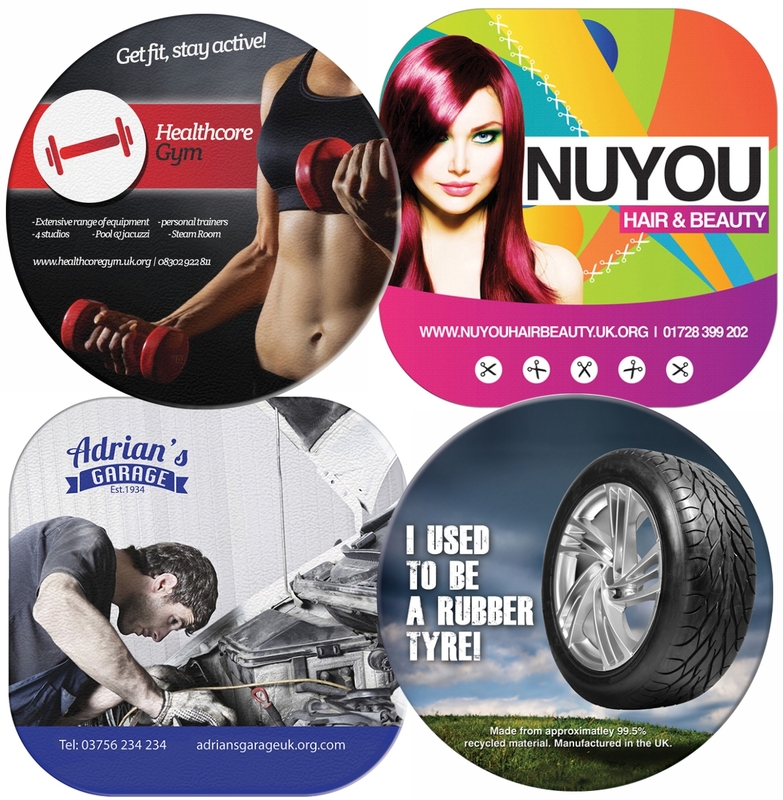 Mouse mats and coasters are ideal gifts to be used as cost-effective promotional items, fund raisers and souvenirs. So perhaps you should buy British, buy the best, buy Brite-Mats.